Elizabeth Brackett, the Emmy Award-winning journalist and internationally decorated triathlete who for two decades served as a “Chicago Tonight” host and correspondent for WTTW, died Sunday evening at Stroger Hospital, surrounded by family. She was 76 years old. Brackett was admitted to the hospital Wednesday morning following an apparent accident while she was biking along the lakefront path – a routine part of her triathlon training. She was found about 30 feet from the path near 39th Street Beach, according to Chicago Fire Department spokesman Larry Langford, who said paramedics at the scene witnessed “no signs of trauma” including “bruises, scrapes, contusions.” Family members believe Brackett accidentally fell from her bicycle and say damage to the top and back of her helmet suggests as much. The incident left her in a coma with at least one fractured vertebra in her neck. Brackett retired from her full-time role at “Chicago Tonight” in 2014, but remained an occasional contributor, reporting primarily on environmental topics such as the health of the Great Lakes in which she frequently swam. “Elizabeth does not just do her job at the highest professional standards, she truly cares about the topics she covers, whether it’s the environment, women’s health or social issues,” said “Chicago Tonight” host Phil Ponce. “On top of that, she’s a tenacious competitor and is always determined to do it first and do it best,” he said. A world champion triathlete, Brackett won five international titles in her age group – including last year in Rotterdam, where she completed the 1-mile open-water swim, 40K bike and 10K run in 3 hours, 15 minutes, 51 seconds – a full 15 minutes faster than her group’s second-place finisher. She completed her first triathlon at age 50 and was for years a beloved member of Chicago’s triathlon community. Family members say that was one of her defining character traits. “She saw a ‘no’ as an obstacle to be overcome,” said her son Jon Brackett, a public school teacher in Milwaukee, Wisconsin. That resolute approach would propel Brackett’s 40-year career, during which she covered everything from the 1980 Democratic National Convention in New York to the Challenger disaster in 1986 to the Chicago Bulls. Her reporting on the dangerously deteriorating conditions of public housing in Chicago prompted policy changes at the Chicago Housing Authority. 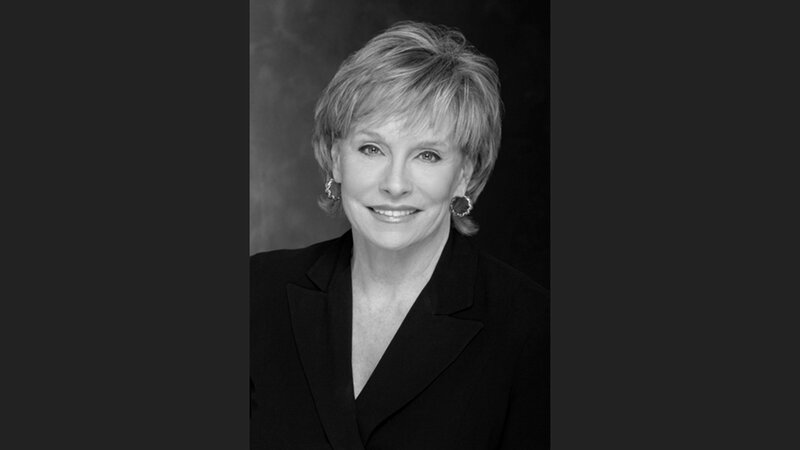 She was recognized with five Emmy Awards, including a national Emmy, two Peter Lisagor Awards for Business Journalism and a National Peabody Award, among others. In 2009, she was inducted into the Chicago Television Academy’s prestigious Silver Circle. “Her political coverage included, I think, the best profile that’s been done on Barack Obama and for which she won a regional Emmy,” said “Chicago Tonight” Executive Director Mary Field. Brackett began her television career as a researcher and weekend reporter at WBBM-TV in Chicago and went on to general assignment reporting at local stations WGN and WLS. She also broke boundaries at WGN, making the switch from film to tape and becoming the first reporter there to do a live shot as the station learned how to make effective use of journalism’s new technologies. When she moved to WLS, Brackett covered Harold Washington’s tumultuous elections and his tenure as mayor, a beat that crossed the path of NBC5 News reporter Carol Marin – another future “Chicago Tonight” journalist. Elizabeth Brackett, Paris Schutz, Eddie Arruza and Carol Marin in a “Chicago Tonight” staff meeting. “Elizabeth Bracket is to reporting what a bloodhound is to a crime scene. She is focused, relentless, and more often than not, able to sniff out the truth of a story ahead of the competition,” Marin said. In 1984, Brackett’s career went national. She became the Midwest correspondent for “The MacNeil/Lehrer NewsHour” (now the “PBS NewsHour”), offering in-depth coverage of national and international stories, including the Exxon Valdez oil spill and the release of hostages from TWA Flight 847. When she moved the “NewsHour” Midwest bureau to WTTW in 1991, she began hosting and reporting for “Chicago Tonight.” A decade later, she would co-host WTTW’s science series “Chicago Tomorrow,” a weekly hourlong show devoted to innovations in science, technology and medicine, with her close friend, comedian Aaron Freeman. “We met on the dance floor at the Limelight Club back in the ‘80s,” Freeman remembers. Their friendship would go on to span decades, continents and world events. “She and I really bonded over the Challenger and the physics involved ... she was very, as with everything else, intensely curious about it,” he said. Freeman joined Brackett in completing her first triathlon. He was there too in Australia, where in 2009 she won her first ITU World Championship for her age group (65-69 years old), finishing the race in 2 hours, 57 minutes, 47 seconds. “I got her involved in triathlons,” Freeman said. But her moves on the dance floor that first time they met were all her own, he recalls. Video: Elizabeth Brackett at the ITU World Triathlon Grand Final Rotterdam 2017. But the road to victory wasn’t always easy. On several occasions, Brackett suffered injuries before a race, including a broken shoulder caused by a skiing accident in January 2015. “[Elizabeth] is unbelievable in willpower. I couldn’t believe she went back to triathlons full bore after she broke her shoulder,” Aharon said. That fall, she took second place in her age group at the World Triathlon Grand Final in Chicago. Brackett’s athleticism has been an inspiration in some unlikely places – including at work. In addition to journalism and athletics, Brackett served as a coordinator for the Adolescent Alternative Placement Program of the Illinois Department of Children and Family Services, a community organizer for the Uptown WMCA, Illinois Issues Coordinator for Jimmy Carter’s presidential campaign and as fundraising director and advance director for William Singer’s mayoral campaign. A graduate of New Trier High School and Indiana University, where in the 1960s she was the only woman on the diving team, Brackett also holds a master’s degree in social work from Our Lady of the Lake College in San Antonio, Texas. – Additional reporting from Matt Masterson, Kristen Thometz and Amanda Vinicky.